Cost is $35 per couple for the all-day session. Lunch and snacks provided. It’s easy to invest thousands of dollars on your wedding day and forget to also invest in the success of your marriage. 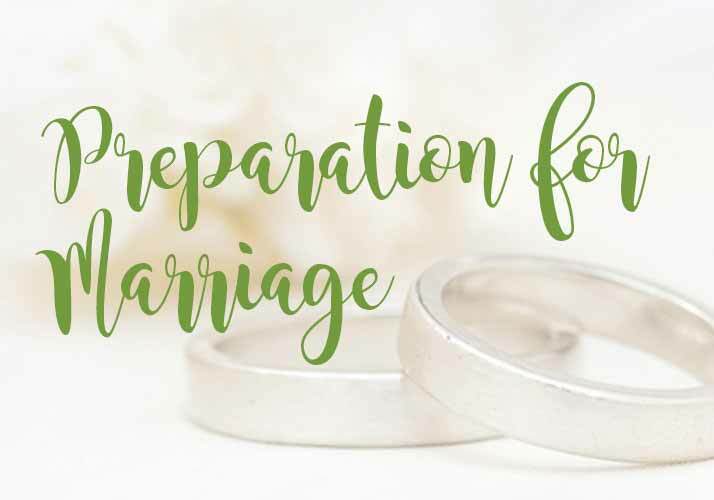 Preparing for Marriage is a dynamic program designed to help you lay the foundation for a strong, biblical marriage. Don’t miss out on this great chance to get practical tools for marriage success! Upon the completion of the course, a certificate for a discounted marriage license is given. Cost is $35 per couple. Snacks and lunch are provided.